If you have a little one at home, make sure to print the $2 off Pampers coupons. 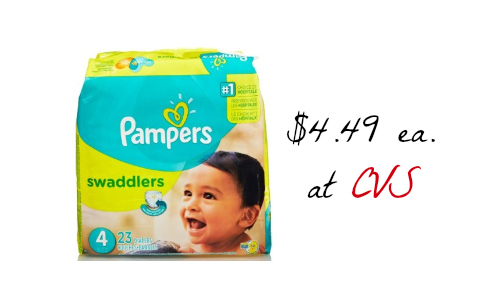 You can use them at CVS this coming week to get diapers for $5.99 after ECB reward! Diapers can be pricey, but with coupons and the drugstore deals they don’t have to be. Like getting it all for $17.96 or $4.49 ea. !